In February 2019, Anti-Corruption Network of the Organization for Economic Co-operation and Development (OECD-ACN) published its second progress report on anticorruption recommendations issued for Georgia in its Fourth Round Monitoring Report. Of the 22 total recommendations, none of them showed significant progress, 17 were assessed as having some progress, and four of them indicated lack of progress, while no rating was granted to the remaining one. - Significant progress - important practical measures were taken by the country to adequately address many elements of the recommendation (more than a half). This can involve the adoption and/or enforcement of an important law. - Progress - some practical measures were taken towards the implementation of the recommendation. For example, drafts of laws that have been at least approved by the government and submitted to the parliament would constitute "progress" for the assessment of Progress Updates. - Lack of progress - no such actions were taken. The ACN assessments are conducted in the framework of Istanbul Action Plan (IAP) that is the main sub-regional initiative of the OECD-ACN covering Armenia, Azerbaijan, Georgia, Kazakhstan, Kyrgyzstan, Mongolia, Tajikistan, Ukraine and Uzbekistan. The experts specializing in the anticorruption sphere are assessing the reforms in the given countries and are issuing the respective recommendations. The Istanbul Action Plan was launched in 2003 and Georgia joined the initiative in the same year. The first round of monitoring in the framework of IAP commenced in 2004 and by now the anticorruption reforms implemented by the above listed countries were evaluated within four rounds. The fifth evaluation round of IAP will be launched in 2020. Following the publication of OECD-ACN Fourth Round Monitoring Report (October 2016), the Government of Georgia has failed to take efficient steps for the implementation of the recommendations. One of the recommendations was marked with no rating, since the monitoring experts withheld from assessing the progress until further developments show the specific results. Even though, the majority of recommendations indicated progress, while only four recommendations were assessed as the lack of progress, this cannot be considered as the achievement of the government, since the monitoring experts assess the implementation of the recommendation as a progress even if little effort is taken by the government. OECD-ACN recommendations cover a variety of areas unified under four main directions: 1. anti-corruption policy; 2. prevention of corruption; 3. enforcement of criminal responsibility for corruption; 4. and prevention and prosecution of corruption in a selected sector - procurement of infrastructure projects. The Institute for Development of Freedom of Information (IDFI) was actively involved in the process of elaboration of OECD-ACN Fourth Round Monitoring Report for Georgia and provided information to the monitoring mission as well as took part in the discussions for Plenary Meeting before approval of the Report in the headquarters of OECD in Parisin October 2016. IDFI permanently provides alternative reports on the progress of implementation of recommendations to the ACN. 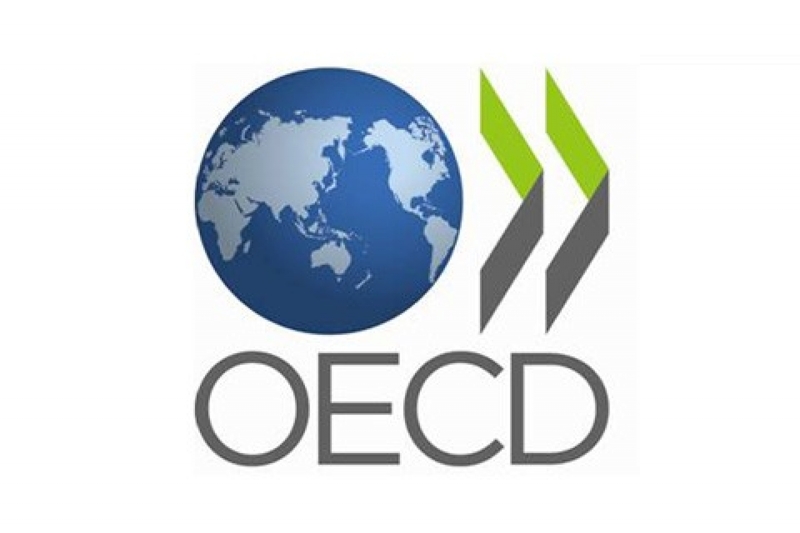 In July 2018, IDFI took part on the OECD-ACN plenary session where second progress report on Georgia was discussed and approved. The involvement of IDFI in the process of provision of alternative progress reports and attendance to plenary sessions is ensured within the EU funded project – “Promoting Prosecutorial Independence through Monitoring and Engagement”. IDFI also provided comprehensive alternative progress update to OECD-ACN in June 2018 (please find the document attached below). Almost all of the information provided by IDFI was reflected in the final progress report and most of IDFI’s assessments match those made by OECD-ACN. In the majority of recommendations marked as a progress the monitoring experts indicate the limited progress. For example, the first recommendation of OECD-ACN on the anticorruption action plans was assessed as a progress indicating that only two components showed progress out of six. Most of the recommendations in part of the civil service reform were assessed as progress. Recommendation (four) on policy framework for integrity in the civil service indicated progress only in one component out of four. First part of the recommendation (five) on legal framework for civil service reform showed progress, albeit with the indication of the concerns of the NGOs, while the second part was not assessed. Even though the adoption of the law on remuneration in public institutions (recommendation eight) was assessed as the positive step, the monitoring experts noted that there are number of shortcomings associated to the application of the law in practice.Unconditional progress was granted only to the recommendation (nine) on the system of asset declarations. Recommendation (15) on the public procurement was also successfully implemented. The government of Georgia failed to adopt anticorruption communication strategy and conduct educational and awareness raising activities (second recommendation) in the second consecutive year. The main focus of the educational activities should have been systemic and high level corruption crimes and its implementation was of significant importance for Georgia since the OECD-ACN Fourth Round Monitoring Report on Georgia mentioned that Georgia may be facing a new challenge of high level and complex corruption. In contrast with the previous reporting year, the government of Georgia did not achieve progress with regard to the implementation of the recommendation seven on capacity building of Civil Service Bureau and human resources management units of state institutions and establishment of human resource management information system. The government of Georgia fails to implement recommendation 14 of the ACN for the second consecutive year, thus failing to adopt stand-alone Access to Information Law. The government started elaboration of this law in 2014 and the law was drafted during the same year,though it is not yet adopted. The Government of Georgia does not implement ACN recommendation (17) on the criminal law against corruption. Namely, in the assessment of the first part of recommendation on the revision of sanctions of passive bribery, the monitoring experts noted that the government of Georgia made decision not to address this part of the recommendation. In assessing the second part of the recommendation on approving prosecution guidelines to provide detailed guidance on how to interpret and apply articles of abuse of office (article 332 of Criminal Code) and excess of authority (article 333) and their alignment with the UNCAC the experts noted that the work is ongoing, however it is not enough to be considered as progress. The ACN experts refrained from assessing the recommendation 11 on adoption of the Code of Ethics of the members of the Parliament. The Code was submitted to the Parliament for adoption but it was rejected. In May 2018 amended draft Code has been registered in the Parliament, however the experts withheld to recognize these developments as progress until further developments. The implementation of third recommendation on anti-corruption policy co-ordination institutions was assessed as a very limited progress in parts of increasing the number and trainings of staff of the Secretariat of Anti-Corruption Council (ACC), while the recommendation was consisted of five parts and included revision of practice of ACC, strengthening the resources of the ACC Secretariat, creation of dedicated anti-corruption website, institution of regular reporting to the Parliament and establishing a dedicated anticorruption unit in the Analytical Department of the Ministry of Justice of Georgia. It is also noteworthy that this recommendation was not implemented in the previous reporting period. With regard to recommendation 12 related to integrity in the judiciary two out of seven elements were deemed as progress by the experts (one viewed as a limited progress). In many cases, the experts paid attention to the criticism expressed by non-governmental organizations (Institute for Development of Freedom of Information and Human Rights Education and Monitoring Center) during assessment. Experts shared concerns raised by non-governmental organizations with regard to the operations of the High Council of Justice (HCoJ). In particular, non-governmental organizations noted that HCoJ operations continued to be non-transparent. Moreover, positive legislative amendments enacted within the scope of the so-called “Third Wave” reform, which improved existing regulations and were recognized as progress by the experts in 2017, have been used inappropriately in practice. The experts noted that this issue would require further follow-up during the next progress update and transparency of the HCoJ activities as well as appropriate application of conflict of interest norms would be assessed. Similar to the 2017 assessment, while assessing the implementation of the recommendation related to the appointment and promotion of judges, the experts paid attention to criticism expressed by non-governmental organizations, in particular, insufficient objectivity of selection criteria and susceptibility to abuse, lack of transparency and the issue of substantiation of decisions in practice. With regard to the recommendation related to limiting the powers of court chairpersons, detaching the court chairpersons from the case allocation process was deemed as a limited progress by the experts, however, the experts highlighted that the chairpersons still maintain significant powers and this part of the recommendation needs serious attention. Although establishment of the electronic system of automatic case allocation in Common Courts was considered as an important step, the experts shared the criticism of civil society with regard to assigning judges to narrow specialization by court chairpersons, which may undermine the system of random and automatic case allocation. With respect to disciplinary liability of judges, the experts welcomed the work of the Working Group on the draft law in this regard, however, they also noted that in the absence of actual results, no progress was acknowledged under this element. Overall, implementation status with regard to integrity in the judiciary was deemed as Progress in Progress Update, however, the assessment revealed that a number of deficiencies still remain as a significant challenge. - The last element of the recommendation refers to considering revoking the payment of any discretional bonuses to prosecutors. In the same paragraph, the recommendations notes that if bonuses are preserved, they should be small in relation to total compensation and paid based on clear and transparent criteria. In the assessment of 2018, experts have assessed amendments to the Constitution of Georgia on basis of which the Prosecution Service of Georgia would form into an independent state institution. The aforementioned reform was conceived as a significant step forwards. Hence, the recommendation was deemed as progress. However, experts have negatively assessed the fact that the Georgian Government did not assign leading role to the Prosecutorial Council in recruitment, promotion, discipline and dismissal process of prosecutors. Furthermore, information provided by the civil society in regards to the lack of independency of the Prosecution Service was also taken into account by the experts. Namely, the decision of the Chief Prosecutor of Georgia to step-down that was externally affected by the ineffectively prosecuted criminal law case. The experts noted that despite the progress in the first element of the recommendation, it is important to monitor the harmonization process of the organic law on the Prosecution Service with the constitutional amendments. As for the progress of the second element of the recommendation, the experts have noted that, according to information provided by the government, the aforementioned provision were already made in draft organic law on the Prosecution Service. However, the experts were unable to review the aforementioned draft. Hence, the experts noted, that the evaluation of this particular component will be possible after the legislative amendments enters into force. In the progress report of 2017, the Prosecution Service of Georgia has demonstrated progress in the third element. Particularly, in the given period, the developed performance appraisal criteria of prosecutors did not envision the number of acquittals as one of the criteria for evaluating the performance of prosecutors. Hence, in 2018, there was no necessity to evaluate the aforementioned element. The last element of the recommendation has been deemed as progress. Yet, it is critical to note that the evaluation of the fourth element was based only on the report provided by the government, which contained incorrect information. Experts have noted that the payment of remuneration and bonuses to the civil servants are regulated by the Law on Remuneration in Public Institutions, therefore the rules and procedures of this law also applies to the prosecutors. Yet, subparagraph “o” of paragraph 4 of the Article 1 of the law clearly indicates that the Law [on Remuneration in Public Institutions] shall not apply to prosecutors and investigators of the Prosecutor’s Office. Furthermore, according to the paragraph 5 of Article 1, the amounts of all increments, monetary rewards or other additional pay defined by this law shall not apply to the prosecutors and investigators of the Prosecutor’s Office. As a brief summary, it has to be noted that throughout the reporting period, the Prosecutor’s Office of Georgia has achieved progress in most of the elements. Yet, it is critical for the future to monitor and evaluate more thoroughly the whole process of the progress in regards to the ongoing reforms in the Prosecution Service of Georgia. IDFI believes that the Government of Georgia shall take more responsibility in implementing the recommendations of the international organizations such as the Anti-Corruption Network of theOrganization for Economic Co-operation and Development (OECD). In the second reporting year of the OECD-ACN, Georgia has not yet implemented the major parts of the recommendations and there are only few months left to do so. Furthermore, the Government of Georgia has to acknowledge the existence of high level corruption as well as the risk of complex corruption, and carry out significant reforms to overcome them. OECD-ACN was established in 1998. Its main objective is to support its member countries in their efforts to prevent and fight corruption. It provides a regional forum for the promotion of anticorruption activities, in particular the practical implementation of anticorruption measures and effective enforcement of anticorruption laws, exchange of information, elaboration of best practices and donor coordination. Georgia has joined the Istanbul Action Plan of the OECD-ACN in 2003 and since then many important reforms has been implemented in based on recommendations issued by its expert groups. A total of four monitoring rounds have been conducted in Georgia so far. The Government is currently in the process of implementing the Fourth Round Monitoring Report that will be completed in 2019 with the adoption of third progress report.